This simple laptop case is made of thick cow leather with soft touch. The edges are left raw, highlighting the origin of the leather. 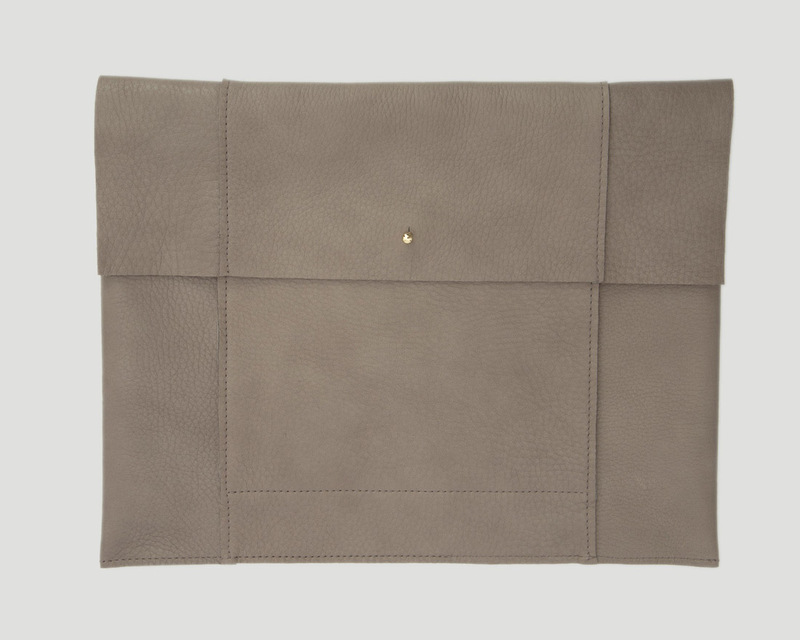 The laptop case encloses and protects the device in an optimal way. You can store papers and other small items in the small additional compartment located on the front side of the case. The pocket closes with a golden rivet button, giving it a refined look and fitting out golden logo pendant.